We are indebted to the late Rachel Adams for this historical presentation and associated photographs. Rachel, a descendant of both the Suber and Kohensparger lineages, passed away on August 4, 2007. You can learn more about her Kohensparger heritage at: Descendants of George (Jacob) Kohensparger. Derek Davis scanned the photos for use in this historical file. We are grateful to them both for this effort. Please address any changes or comments to Bob Sweeney, Sullivan County Historian. George Franklin Suber (Caroline, Jacob Hoffa) Born May 21, 1856, died December 17, 1926, buried in Thrasher Cemetery in Dushore, Pa. The boy is Benjamin. The little girl in the middle is Alice; the older girl next to her is Cora. The girl in the back is Euphamie and the girl in front is Annabelle. Euphamie and Annabelle were twins. George F. Suber died Friday, December 17, at this home in Cherry township following an illness of several months at the age of 70 years, six months and 26 days. Mr. Suber is survived by his wife and four daughters, Mrs. Fred Adams, and Mrs. Wesley Adams, of Mehoopany, Mrs. Arthur Basley of Elmira and Miss Annabelle at home. Funeral service was held Monday morning in Zion Lutheran church at Dushore. Interment was made in the Thrasher cemetery. Photo Series, E. K. Sturdevant Publisher, Laceyville, PA and Clarksburg, WV. 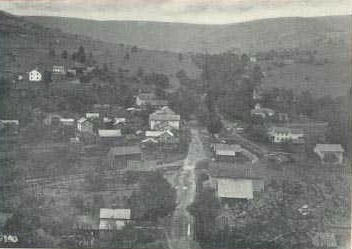 The original was mailed from South Mehoopany in 1910. Mrs. Emma Suber, widow of George Suber of Cherry township, died Sunday morning at the home of her daughter, Mrs. Arthur Basley at Colley, following an illness of two weeks at the age of 75 years. She is survived by three daughters, Mrs. Fred Adams of Mehoopany, Mrs. John Hurst of Mildred and Mrs. Arthur Basley of Colley and ten grandchildren. Also four sisters, Mrs. John A. McCarroll, a twin sister, of Colley, Mrs. Jackson Everett of Lehighton, Mrs. Elmer Weaver of Muncy and Mrs. W.L. Johnson of Lopez and two brothers, Mahlon Hopkins of Rochester and Clinton Hopkins of Forksville. Funeral service was held from the home of Arthur Basley at Colley, Wednesday morning, with a further service in Zion Lutheran church at Dushore, Rev. W.H. Fehr, officiated. Interment in the family plot in Zion Evangelical Lutheran cemetery. 2. Cora Caroline Suber (George, Caroline, Jacob Hoffa) born December 23, 1884, died October 26, 1970, buried in the Forkston Cemetery. Married Frederick George Adams on March 3, 1908. He was born May 11, 1881, died February 11, 1947, buried in the Forkston Cemetery. 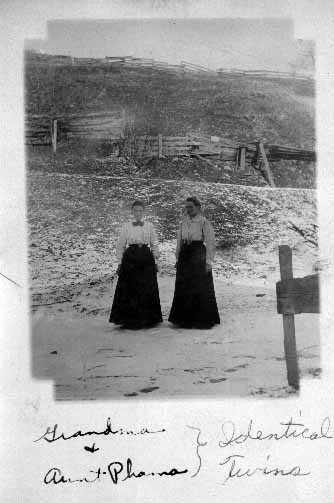 Fred and Cora lived for a time in Forkston in the first two decades of the 1900s, and several of the children were born there. Here is a picture of Forkston at about this time. Mrs. Cora Adams, Lopez, Pa, was honored at a special Grange Meeting on Friday evening, October 3, at Forkston, Pa., Wyoming Co.
Mrs. Adams has been a member of the Grange for the past 50 years. Mrs. Ruth Fish, State Deputy of Bradford and Sullivan County Grange, Wyalusing, presented the award and gold pin. She also read the telegram to Mrs. Adams sent to her by Governor Raymond P. Shafer. Mrs. Adams first joined the Grange at Colley, Pa. then later was transferred to Forkston, where she lived many years and still has a home there. Four other members were awarded with pins and certificates for 25 years Service. After the meeting a fine entertainment was furnished and a tasty lunch served to the members and visitors. Mrs. Adams is a member of the Eastern Star at Meshoppen, Pa., and also a member of the Lutheran Church of Dushore. She resides with her daughter, Dorothy in Lopez. Her daughter, Barbara of Harrisburg accompanied her to the special event. Mrs. Cora C. Adams, 85, Lopez, died October 26 at a Tunkhannock nursing home following a lingering illness. She was born December 23, 1884, at Dushore Rd, daughter of the late George and Emma Hopkins Suber. She had been al lifetime resident of Sullivan County. She was a member of the Zion Lutheran Church of Dushore; the Meshoppen Chapter No. 70 Order of the Eastern Star; and a 50-year member of the Forkston Grange. She is survived by two sons, Cyril F. of Mehoopany and Thomas B. Bridgeport, Conn; three daughters, Miss Rachel E. Adams of Bridgeport, Conn, Mrs. Barbara M. Reed of Harrisburg, and Mrs. Dorothy Riordan, Lopez; ;one sister, Mrs. Alice Basely, St. Petersburg, Fla; 17 grandchildren and 13 great grandchildren. Funeral services will be held Thursday at 1 p.m. in the Zion Lutheran church of Dushore with the Rev. John Solliday officiating. Interment will be in the Forkston Cemetery. Fred G. Adams of Forkston died Tuesday morning at his home, following an illness of sometime at the age of 66 years. He is survived by his wife Cora Suber Adams, three daughters, Mrs. Fred Miller and Mrs. Joseph Riordan of Lopez and Miss Rachel Adams of Connecticut; two sons, Thomas Adams and Cyril Adams of Mehoopany; a sister, Mrs. Carrie Maynard and a brother, Harry Adams of Meshoppen and a number of nieces an nephews. Funeral services were held Thursday afternoon in the Forkston Methodist Church. Interment in the Forkston cemetery. I. Cyril Franklin Adams (Cora, George, Caroline, Jacob Hoffa) born January 12, 1912, died May 18, 1982, buried in Vaughan Cemetery, Mehoopany, Pa.
Cyril F. Adams of Mehoopany, RD 1 died in the Tyler Memorial Hospital, Tunkhannock, on May 14, 1982. Born in Forkston Township on January 4, 1912, he was the son of the late Fred and Cora Suber Adams. Mr. Adams was an employee of the Pennsylvania Department of Highways for 28 years until his retirement. Surviving are his wife the former Ruth Goodwin; daughter, Mrs. Joan Robinson, Mehoopany; sisters, Rachel Adams, Forkston Twp. ; Mrs. Barbara Miller, Harrisburg; Mrs. Dorothy Riordan, Lopez; granddaughter, Melanie; grandson, Scott. Private funeral services were held on Saturday with interment in Vaughn Cemetery, Mehoopany. II. Rachel Emmalyn Adams (Cora, George, Caroline, Jacob Hoffa) born April 27, 1913; died August 4, 2007. Rachel E. Adams of Forkston died Saturday, Aug. 4, 2007, at Tyler Memorial Hospital in Tunkhannock. She was born in Bowman Hollow, Wyoming County, on April 27, 1913, daughter of the late Fred G. and Cora Suber Adams. Prior to moving to Mehoopany she worked as a nanny in New York City then in an ammunitions plant in Bridgeport, Conn. After World War II she was employed at Westinghouse in Bridgeport for 35 years. She was a member of Lovelton Grange #1250, Tyler Memorial Hospital Ladies Auxiliary. She was active in the Wyoming County Republican Party serving as Committee Women of Forkston Twp. for several years. She was a member of the Forkston United Methodist Church and a member of the Crazy Quilters of the church that provided quilts to the needy. She was preceded in death by brothers, Frederick, Cyril and Thomas Adams; sisters, Arvilla Adams, Barbara Miller and Dorothy Riordan; several nieces, nephews and cousins. A funeral service was held on Tuesday, Aug. 7, from Forkston United Methodist Church with Rev. Jean Swett, pastor of the Forkston United Methodist Church, officiating. Interment, Forkston Cemetery, Forkston. Arrangements by the Sheldon-Kukuchka Funeral Home Inc., 73 W. Tioga St. Tunkhannock. Memorial contributions may be made to the Forkston United Methodist Church. III. Thomas Benjamin Adams (Cora, George, Caroline, Jacob Hoffa) born June 25, 1914; died February 5, 1975. Thomas B. Adams, 60, Bridgeport, Conn., formerly of the Mehoopany Forkston area died February 5, 1975, at Bridgeport, at the home of his sister Rachael Adams. He was born June 25, 1914 at Forkston, a son of Fred G. and Cora Suber Adams. Before moving to Bridgeport 25 years ago, he operated a dairy farm near Mehoopany. In Bridgeport he was employed by the New England ice and Oil Co. 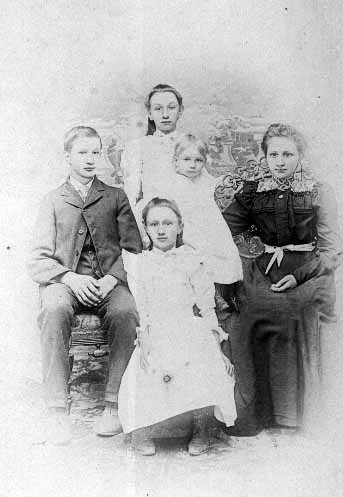 Surviving are his widow, the former Marjorie Quigley; and these children: Thomas and George of Florida; Richard of Penn Hurst, Pa; Kent, at home; Cindy of Scranton, Mrs. Wendy Perretta of Stratford, Conn; Lynn and Kim at home; a brother Cyril Adams of Mehoopany; sisters; Rachael; Barbara Miller of Harrisburg; Dorothy Riordan of Lopez. Funeral services were held in Bridgeport. VI. Dorothy Rosanna Adams (Cora, George, Caroline, Jacob Hoffa) born December 18, 1918, died December 24, 2001, buried in St. Francis Cemetery in Mildred, Pa.
Dorothy Adams Riordan, 83, of Lopez, died December 24, 2001, following an automobile accident in Mildred. She was born December 18, 1918, in Forkston, Wyoming county, a daughter of Fred G. and Cora Suber Adams. She was the widow of Joseph Riordan. 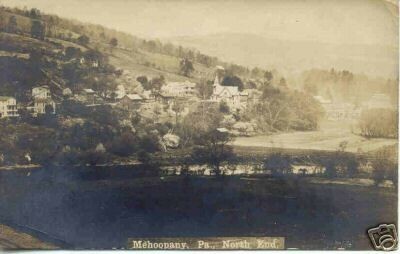 Between 1920 and 1939, the family lived in Mehoopany. In 1939, Dorothy moved to Lopez and worked in the Weldon Pajama factory. In November, 1941 she married Joseph Riordan and the couple moved to Jersey City, NJ, where she worked at the Western Electric Co. in Carney, NJ. Moving back to Lopez in 1945, she again worked at Weldon until it closed. For many years she worked at the Sullcraft Mfg. Co in Dushore, and later at the Endicott-Johnson Shoe Factory in Mildred until her retirement. She was also employed at the American Legion Post 452 Ladies Auxiliary. In 1960, she and a few friends cleared the land for the Lopez Restview Park, and she was instrumental in the formation of the Lopez Civic Association. In 1980 she was recognized for her many outstanding contributions to the village of Lopez. She was a member of St. Francis of Assisi Catholic Church in Mildred. Funeral services were held December 29 from the Russell P. McHenry Funeral Home, Dushore, followed by a Mass of Christian Burial at St. Francis of Assisi Catholic Church, with Rev. Michael B. Harris presiding. Burial was in the parish cemetery. Memorials may be directed to the St. Francis of Assisi Restoration Fund, PO Box 307, Dushore, Pa 18614; Mildred Fire Co. & Ambulance Assoc. ; or Dushore Fire Co. & Ambulance Assoc., Dushore, Pa.
Peter Joseph Riordan, 66, of Lopez, died March 6, in the Montrose (PA) Hospital following an apparent heart attack. He was born in Lopez May 10, 1910, a son of Peter E. and Nellie Gilligan Riordan. He worked in the Federal Shipyards in Kearny, NJ, and also for Eastern Aircraft Company in New Jersey. After returning to Lopez, he was an employee of the Weldon Manufacturing Company. 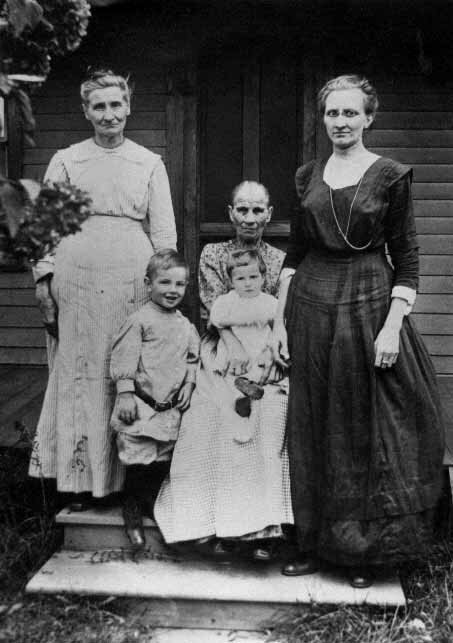 Surviving are his widow, the former Dorothy Adams; two sons, Ronald of Homer, NY, and Kenneth at home; three daughters, Mrs. Sharon Grane of Watsontown, PA. Mrs. Carole McDonald of Dushore, and Mrs. Rose Gumble of Mildred; three sisters, Mrs. Genevieve McMahon of East Orange, NJ, Mrs. Mary Thayer of Syracuse, NY and Mrs. Florence Creedon of Jim Thorpe, PA; seven grandchildren; and several nieces and nephews. Recitation of the Rosary was conducted March 8. Funeral services were held March 9, from the Regina Tubach Homer Funeral Home, Dushore, with a Mass of Christian Burial celebrated by Father Joseph Flannery at St. Francis of Assisi Church, Mildred. Interment was in the parish cemetery. Married Matthew Hicks on December 31, 1999. He was born July 7, 1975. Sharon Kathleen Riordan (Dorothy, George, Caroline, Jacob Hoffa) born September 21, 1946. Stephanie McDonald (Carol, Dorothy, Cora, George, Caroline, Jacob Hoffa) born March 23, 1971. Married Chester Gumble. He was born March 6, 1951. 3. Benjamin Jacob Suber (George, Caroline, Jacob Hoffa) born May 30, 1886, died October 14, 1902, buried in Thrasher Cemetery in Dushore, Pa.
Benjamin Suber, a sixteen year-old son of George Suber, of Cherry township, was so badly injured in the Bernice mines on Saturday evening last that he died at the Sayre hospital where he had been taken for treatment, on Tuesday morning. He was driving, and in attempting to “sprag” a wheel missed and was caught between the car and the side of the gangway. His back was broken between the shoulder blades and the spinal cord nearly severed; one of is legs was also broken, his head badly cut and his body terribly bruised. His body was brought to this place Tuesday noon and taken to his father’s home. The funeral will be held at the Lutheran Church Thursday morning at 10 o’clock, with interment at Thrasher’s cemetery. 4. Euphamie Adams (George, Caroline, Jacob Hoffa) born March 23, 1891, died January 21, 1933, buried in Thrasher cemetery in Dushore, Pa.
Married Wesley Charles Adams on February 9, 1910. He was born November 17, 1871, died January 27, 1940. Wesley Adams of Forkston and Miss Euphama Suber of Cherry were united in marriage by Rev. A. Bachofer at the Lutheran parsonage this Wednesday morning at 7:30 o’clock. They were attended by the groom’s brother and the bride’s sister, Mr. And Mrs. Fred Adams. The newly married couple left on the 8:11 train for a short wedding trip. Upon their return they will go to housekeeping at Forkston. 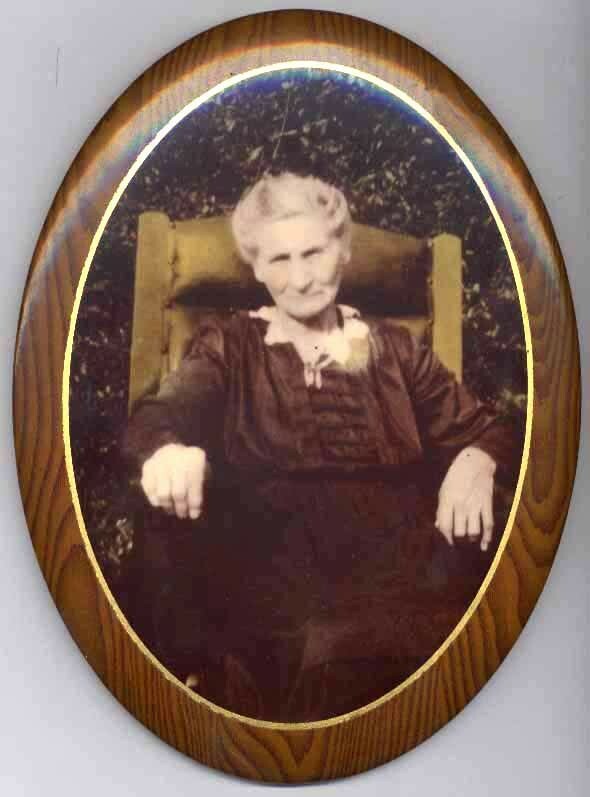 Mrs. Euphemia Adams, died Saturday January 21st at her home near Forkston, Following a short illness. She is survived by her husband, Wesley Adams, two sons and an infant baby, also her mother, Mrs. George Suber of this place and three sisters, Mrs. Fred Adams of Forkston, Mrs. Arthur Basley of Coley and Mrs. John Hurst of Mildred. Wesley Adams died at the Robert Packer hospital Saturday evening January 27th, 1940, where he had been a patient for about five months. His death gave the family quite a shock as they were looking forward to his coming home in about two weeks. 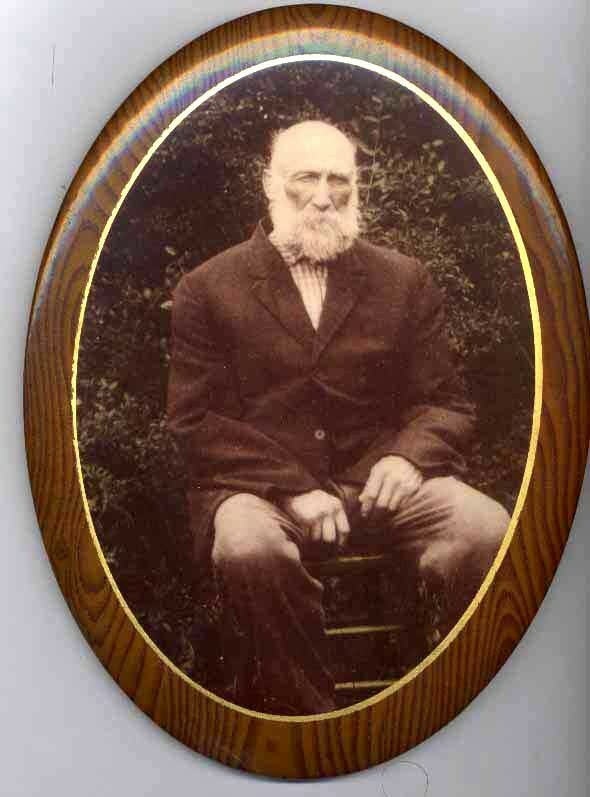 Mr. Adams has lived in the vicinity of Forkston all his life. He is survived by three sons, Robert, Donald, and Edward, several brothers and sisters. His wife Euphemia Suber Adams died several years ago. The funeral was held Tuesday afternoon at 2 o’clock in the Forkston M.E. Church in charge of Rev. Walker. Interment in the Forkston cemetery. Casket bearers were Clarence Henning, Clyde Junk, Clifford Robinson, Carroll Krewson, Herbert Furman, Norman Fassett. Arrangements by Forest Dunlap of Mehoopany. i. Robert B. Adams (Euphamie, George, Caroline, Jacob Hoffa) born September 25, 1912, died July 27, 1999. 5. Annabelle Katherine Suber (George, Caroline, Jacob Hoffa) born in December 19, 1891, died November 7, 1957, buried in Thrasher Cemetery in Dushore, Pa.
Mrs. Annabelle Hurst of Mildred, widow of John Hurst, died Thursday morning at the Stopyra Nursing home, Dushore, after a long illness. She was born in Dushore, Dec. 19, 1891, the daughter of George and Emma Hopkins Suber. Mrs. Hurst was a member of Trinity Lutheran church, Mildred. Surviving are two sisters, Mrs. Cora Adams, Mehoopany, and Mrs. Alice Basley, St. Petersburg, Fla and several nieces and nephews. Funeral services will be held from the Holcombe Funeral home Saturday, November 9, at 2 o’clock, with her pastor, the Rev. H. Joseph Slusser officiating. Burial will follow in Zion Lutheran cemetery. Friends may call at the funeral home Friday evening. John H. Herst,* 75, of Mildred, died at his home this Thursday morning following a short illness. Mr. Herst was a native of Fall Brook, Pa., where he was born November 1, 1879, a son of Moses and Christina Foulker Herst. He was a member of Trinity Lutheran Church, Mildred. He had been a resident of the Mildred community for many years. Formerly he had been employed in the Bernice mines, but for a number of year shad been retired. His widow, Annabel, is his only immediate survivor. The funeral will be Monday afternoon from the Holcombe Funeral Home. Services will be at 2:30 o’clock at the funeral home, Pastor Charles A. Souders officiating. Burial will be in Zion Lutheran cemetery. Friends may call at the Funeral home Saturday evening and Sunday afternoon and evening. *Note: The correct spelling is "Hurst"
Mrs. Alice Suber Basley, 86, Hernando, FL, died August 10, 1984. She was born in Dushore, lived in Colley for several years and came to Hernando three years ago from St. Petersburg, FL. Mrs. Basley was a member of the Trinity Lutheran Church, St. Petersburg. Surviving is a daughter, Mrs. Marjorie Lambo, Hernando; five grandchildren and six great-grandchildren. Funeral services were held August 13 at Woodlawn Memory Gardens, St. Petersburg, with Pastor Pritt Rebane, her pastor, officiating. LAMBO, MARJORIE B., 73, of Hernando, formerly of St. Petersburg, died Sunday (March 4, 2001) at home. Born in Elmira, N.Y., she lived in St. Petersburg from 1938 to 1980, before moving to Hernando in 1980. She was a homemaker. She was a 1945 graduate of St. Petersburg High School. She was a member of Trinity Lutheran Church. Survivors include her husband of 54 years, Robert T.; two sons, Robert T. Lambo Jr., New Jersey, and Daniel R. Lambo, St. Petersburg; a daughter, Toni Durilla, St. Petersburg; five grandchildren; and two great-grandchildren. R. Lee Williams & Son Funeral Home & Crematory, 49th Street N Chapel, St. Petersburg. Danny Lambo (Marjorie, Alice, George, Caroline, Jacob Hoffa) born February 25, 1951. The lady sitting is Emma Suber's mother, Barbara Kokensparger Hopkins Hunsinger. She is holding Rachel Adams. The little boy is Cyril Adams. Emma Hopkins Suber is standing behind Cyril. The other woman is Cora Suber Adams, mother of the children. The photo can be dated to about 1916 or 1917, since Rachel was born in 1913.